Kind of like those old notes I used to do one Facebook! However, this sounds much better because it’s called an ‘award’! And I got nominated by people I don’t know in person! A great honor was bestowed upon me by two fellow bloggers! Jay and Helen nominated me — or rather, my blog — for the Liebster Award. 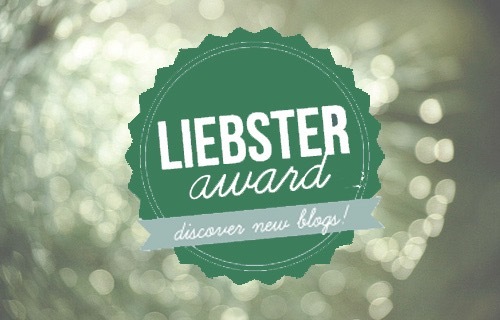 The Liebster Award recognizes blogs with less than a 1000 followers and strives to increase collaboration and recognize newbie bloggers. Think of it as a game of blog tag. Person A nominates Person B. Person B must then answer a couple of questions on their blog and then dish out some nominations. Tag 11 bloggers with less than 1,000 readers. Since I was nominated twice, I will answer all 22 questions! Because why not? It’s Saturday night and I am bored! And this sounds like a funner way to get to know me!